I have a friend who tells me he doesn’t like Pinot Noir. And I do sincerely pity him. Each time he reminds me of his misguided ways, I wonder if he just needs a hug. He has such an otherwise reasonable, intelligent, and considerate demeanor. He even loves wine! I can only assume that he just hasn’t discovered the Pinot Noir for his own tastes. So maybe it’s not too late for him. In honor of my dear friend, let’s examine the important regions for and styles of Pinot Noir from around the world. But first, why is Pinot Noir such a special wine? You may know the Hollywood version. Miles, the lead character in the movie Sideways is asked why he loves Pinot Noir so. “It’s a hard grape to grow,” he responds. “It’s thin-skinned, temperamental. Ripens early. You know, it’s not a survivor like Cabernet. Which can just grow anywhere and thrive even when it’s neglected. No, Pinot needs constant care and attention. In fact, it can only grow in these really specific and tucked away little corners of the world. And only the most patient and nurturing of growers can do it, really. Only someone who really takes the time to understand Pinot’s potential can then coax it into its fullest expression. Then? I mean, oh its flavors! They’re just the most haunting and brilliant, thrilling and subtle and ancient on the planet.” There’s a lot I can affirm in there (though I’m not sure many Cabernet Sauvignon growers would agree that their job is a walk in the park). More importantly, it makes a great story. But you can’t drink a story. A little more to the point, here’s the typical explanation you’ll hear from wine professionals: Pinot Noir represents the purest expression of a wine grape and its terroir. (Or something to that effect.) Also, the grape is finicky. And the texture of the wine can be luscious. When all concrete descriptions fall short, you can expect abstract appeals to concepts like “mystery” and “seduction.” None of this strikes me as wrong, but what does “seduction” taste like? Here’s my own explanation for why Pinot Noir has attracted so many passionate admirers. It’s about how the wine actually tastes. Especially with food. I enjoy a Northern Rhône or Bordeaux blend with a big steak. Or a Chianti Classico alongside a delicious mound of pasta covered in meat sauce. But who eats that way on a regular basis? Wine is made to pair with food and Pinot Noir pairs with an unusually wide variety of dishes and cuisines. Red wine with fish? Pork? Poultry? Vegetarian? Japanese? Indian? Mexican? Breakfast? Want to tie together a whole bunch of crazy flavors on the table (like at an American Thanksgivings meal)? How about you’re going to a dinner party and have no idea what’s being served? In these and so many other cases, Pinot Noir is the obvious answer. The high acid content helps to cleanse the palate and the low tannins allow food flavors to come through unhindered. Pinot Noir is a flexible, friendly food wine like few others. So take that Paul Giamatti! “DRC” is the most expensive wine in the world. Known as “Burgundy” in English-speaking cultures, this part of France is the ancestral home of Pinot Noir (as well as Chardonnay). For reasons unknown (though I’m assuming nefarious), Burgundy is the only wine region in France that isn’t commonly known by its French name internationally (think Bordeaux, Loire, Rhône, Alsace, Provence, and so on). While some of the most expensive wines in the world come out of Burgundy, overall it labors in the long shadow of its more glamorous cousin, Bordeaux. Bordeaux has built its reputation on business, blending, and bling. The region has a history of savvy trade practices, traditionally blends wines from different varietals to maximize the potential of each vintage (and to confront the shortcomings of any given growing season), and there’s nothing modest about the many famous châteaux there. Bourgogne, on the other hand, is a farming region filled with hardworking purists. Burgundians would never thinking of blending Pinot Noir with other grapes. If you can’t farm a great vine, you can’t make a great wine! Burgundian Pinot Noir can be both delicate and powerful simultaneously. Light red fruit flavors tend toward the bitter end of the spectrum (reminiscent of cranberries) and often intermingle with flavors of earth (dried leaves, forest floor, “barnyard”), particularly when aged. The most complex and treasured wines are associated with particular vineyards (not wineries, as in Bordeaux). These are found in villages such as Gevrey-Chambertin, Vougeot, Vosne-Romanée, and Nuits-Saint-Georges. Village (same in English as French) designated wines are simple, while Premier Cru wines are more complex, and Grand Cru wines comes from only the most elite vineyards (making up about 1% of the acreage under vine in Bourgogne) where slope, aspect, and soil drainage all combine to produce tremendous fruit. Pinot Noir wines from Oregon are generally delicate and thought to be more Burgundian with earthy flavors like mushroom incorporated and encouraged by the winemaking process. Warmer sites can also produce wines with plum and other dark red fruit characteristics. The judicious use of French oak adds notes of baking spices. Along with wine style, there are other regional similarities with Burgundy: There’s expert farming (the Willamette Valley also produces grass seed, nuts, wheat, and many other crops alongside wine grapes); a special sensitivity to the impact of elevation on vineyards and grapes; and some common climate characteristics (and accompanying risks) in a marginal continental zone with variable weather patterns. We admit it. We can’t get enough of Oregon Pinot Noir. If the flavor of mushroom in wine doesn’t sound so great to you, perhaps consider Pinot Noir from Sonoma. Generally showing less restraint than Pinot Noir from Oregon (it’s not easy to compete with the massive Cabernet Sauvignons from one valley over in Napa), these wines can be ripe in flavor (even “jammy”) as climate tends to be warmer and more reliable here. 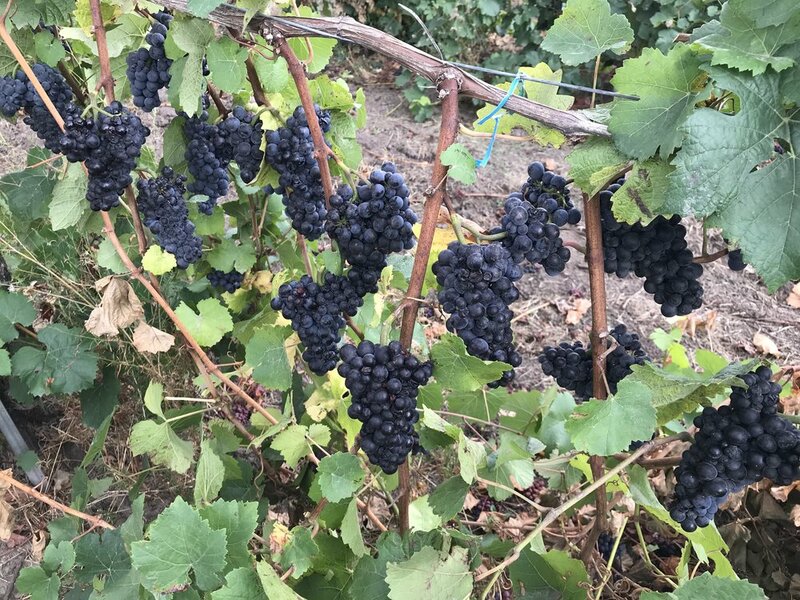 Los Carneros (the only sub-AVA in both Sonoma and Napa counties) as well as the Russian River Valley are well-known for Pinot Noir with flavors of cherry and raspberry. Not surprisingly, these areas also produce excellent Chardonnay, the other noble grape of Burgundy. Saintsbury in Los Carneros AVA of California makes exquisite Pinot Noir. The house that Pinor Noir built. Williams Selyem in the Russian River Valley AVA of California. German Pinot Noir tends to be very light in body and color with high acid and delicate red fruit. Australian Pinot Noir generally shows quite prominent fruit flavors. In New Zealand, Central Otago produces full-bodied Pinot Noir with some earthiness and higher alcohol, while the Marlborough region is known for more delicate versions. Australia’s Mornington Peninsula does truly lovely Pinot Noir. The Yarra Valley in Australia has a well-earned reputation for delicious Pinot Noir. If there’s a more stunning environment for growing Pinot Noir grapes than New Zealand, we’ve not come across it. The Downside to Pinot Noir? I have only one bit of bad news about Pinot Noir. It’s an expensive wine to make (and buy). 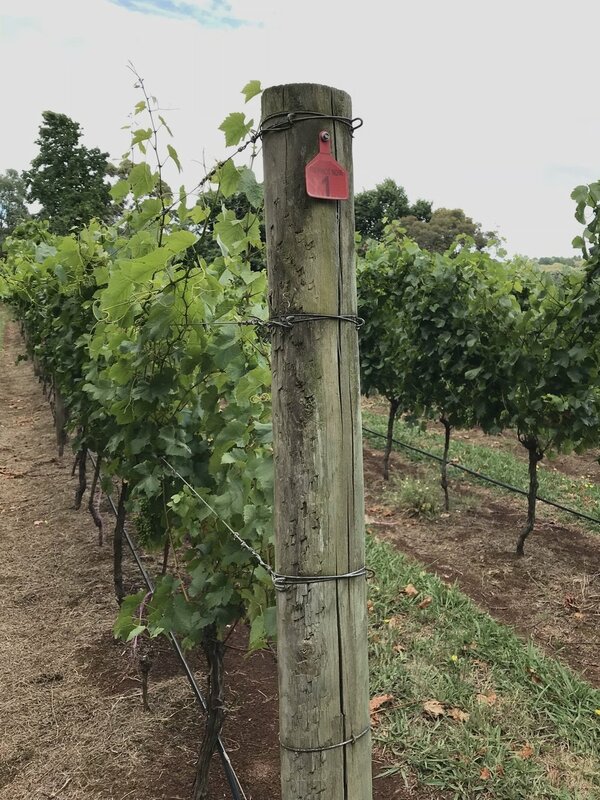 Fruit yields per vine are generally lower than other varietals and as a touchy grape, growing it requires more hands-on attention from farm workers, which also adds to production costs. Fifteen dollars a bottle seems to be the absolute lower threshold for acceptable quality Pinot Noir these days. Everyday Pinot Noir is usually in the $20 range (with fine examples of the variety fetching far more). A bottle of Domaine de la Romané-Conti will set you back thousands (and thousands) of dollars. Please be sure to let us know how you like it. We’re on a constant search for the perfect Pinot Noir and have discovered many wine surprises along the way. If you have one to share, be sure to email us.